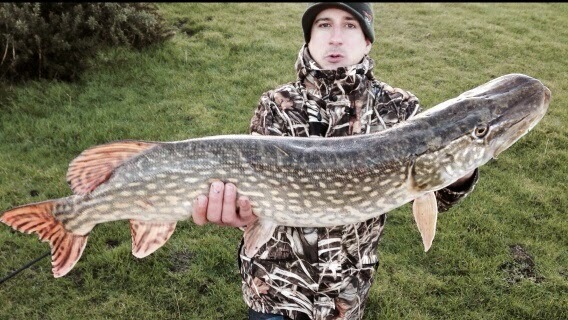 January 2015 Fish of the Month Entry - Pop Up Pike! Jason Carruthers caught this nice Pike on a popped up Perch deadbait fished in 4ft of water on a wet and windy day in Dumfries and Galloway! You can vote for this picture to win on Facebook by selecting it in our January 2015 FOTM gallery HERE and hitting the 'Like' button! Don't forget to share all your favourite entries to help them win too!